The industrial barbell is meant to be worn in the ear in such a way that it crosses the ear two times. This industrial barbell will be long enough for almost anyone with its 38 mm length. 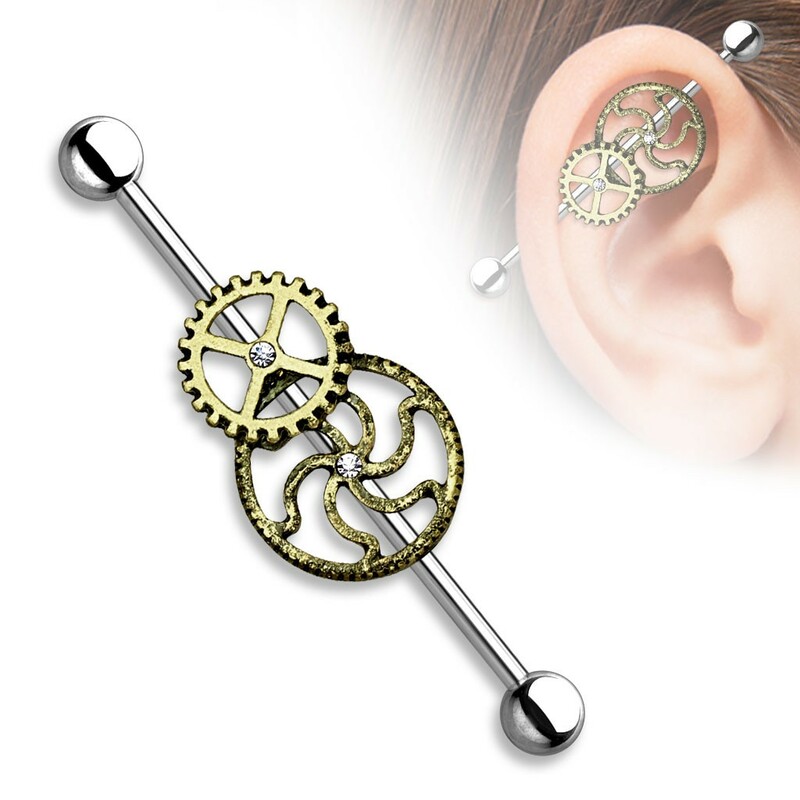 This industrial barbell is decorated with two big wheels in the famous Steampunk look and feel. The biggest wheel is around 1.5 centimeter in diamater, the smaller wheel is closer to 1 centimeter. It makes that these wheel on this sturdy cool industrial barbell can be recognized even from a distance.